Speaker - Coaching and Leadership International Inc. Eliminating your fears about speaking. Developing powerful keynote speeches, workshops and seminars. Being a gracious poised speaker who commands attention. Knowing how to stand in your power on the podium. Balancing your life! and so on. 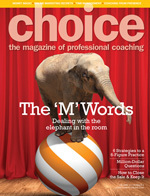 Choose Your CLI Power Coach� will take you to Power Coaches who can be a great resource for you as a Speaker.